It was GREAT! Loved that it was not all singing...but getting to know him a little through the chit-chat/Q&A sessions! Of course I LOVED the singing parts too! He sang the song I requested (Thinking Out Loud)!!! Will definitely watch the next one! Thanks! One of the coolest things I have ever seen!! Thankful that we get the opportunity to watch Luke Wade perform and support him!! I love him so much and hope he will do more of these!! Growing up on Hurt Street in a sultry little Texas town might seem an auspicious beginning for a soul singer. But for Dublin’s Luke Wade, it’s hard to imagine that it would be anything short of destiny. Born of extraordinary artists and self-described ‘Hippies’, Luke is the product of a home that truly cultivated creativity. The youngest of four children, his music is the modern manifestation of the introspective and enlightened notions instilled by his parents. Bob and Wanda spawned a self- awareness that makes Luke’s music inherently reflective, without need of gimmick or novelty. His insightful and thoughtful lyrics make it easy to imagine that if Hurt Street were located in some distant galaxy, this is still the music he would create. An unlikely series of childhood ailments provided Luke with an early sense of perspective that many never find even as adults. A bout of spinal meningitis proved almost fatal, a paintball accident left him blind in one eye and some years later a severe heatstroke left him struggling to overcome temporary brain damage and amnesia. And though these experiences inevitably influence his music, it is not in the fatalistic way you might expect. While his songs may have that soulful ‘written on the porch because the house was too damned hot’ feel, the end result is a style that feels ever hopeful. It is but a few times in a generation that an artist comes along with the potential to reflect so honestly the human condition. Such a calling requires a humility and self-awareness that seldom find an artist until late in his career, when he’s turned the corner from idealistic to philosophical. Often young singer-songwriters aspire to draw a picture with words, a melodic expression of the visual, hoping to capture a single meaningful moment in time. Luke aspires to capture our journey through it - and his sophomore album, “The River”, speaks to a brilliant departure on that journey. The spring release of “The River” and a swell of media coverage have prompted renewed comparison to the likes of Ray LaMontagne. 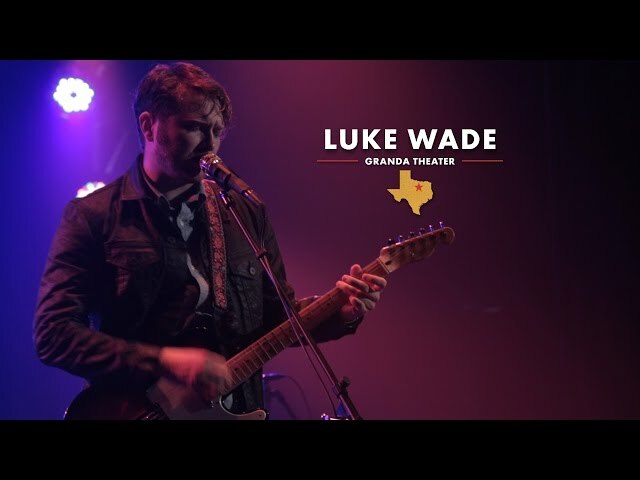 Each stylistically unique, Luke surrounds himself with exceptional musicians and remains keenly aware as to his place in the musical equation. His incomparable musicality requires more of the accompaniment than just support of the lyric, he allows it to build a distinctive setting in which to tell his story. When performing with his full band, Luke’s boisterous horn section and soulful voice are the perfect paring of audacity and nuance. Luke’s writing is always honest and never self-indulgent, creating music that feels as much a part of the listener as the artist. His ‘damaged in transport but absolutely delivered’ charm has endeared him to his audience and encouraged a rabid following wherever he performs. Instinctively, Luke seems to realize that his success is always secondary to the song, resulting in a refreshing vulnerability that you couldn’t touch with a ten foot pole.